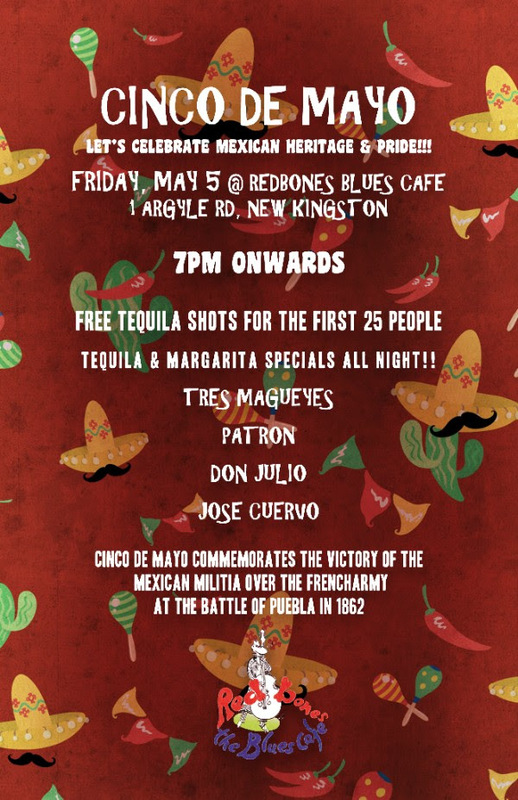 Cinco de Mayo commemorates the victory of the Mexican militia over the French army at the battle of Puebla in 1862. We will be celebrating tonight with Latin Music & Tequila. First 25 people FREE Tequila shots! Margarita & Tequila Specials ALL night!